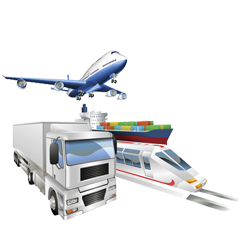 We introduce ourselves as a Professional Freight Forwarding Company, offering Express, Direct and Consolidation Services from and to USA through Air and Ocean (International). In addition we also handle Domestic Transportation within USA. Our goal is to meet customers need, not only with price but also by giving them an efficient service. The Service includes Door-Door moves (International and Domestic) and all the required documentation work. “Dream which took years to come true can be lost just due to poor packing”. Furniture and other household articles have sentimental values. Those are like the cherished family heirlooms. Packing these articles is certainly an art acquired after a long apprenticeship. We can recommend reliable source for this too. We would willingly yet meticulously orchestrate the whole gamut. In short it is a single window deal. To obtain a quote or for spot survey: either submit your inquiry through our request a quote form or feel free to give call us @ 800-353-5128.